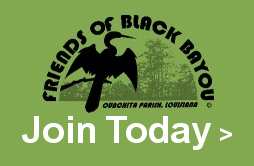 Friends of Black Bayou is an award-winning, non-profit community organization that supports the protection and enhancement of Black Bayou Lake National Wildlife Refuge located in Ouachita Parish, Louisiana. FoBB came into existence in August 1997 with a core group of dedicated supporters who cared about the new Refuge and dreamed big. In a very short time, members began to see their dreams taking shape. The century-old planter’s home was renovated and is now the Visitors’ Center. In 2004, FoBB was named the top Refuge Friends Group in the country. And this was just the beginning! Every year FoBB sponsors a Fall Celebration with free activities for kids, food, exhibitors, and lots of fun activities. interactive displays inside the Visitors’ Center. ​Conservation Learning Center opened in October 2005, provides spectacular live native wildlife exhibits and a well-equipped classroom. Art is a part of nature, too. Photographers and other artists are able to observe wildlife from the comfort of the photo blind, the wildlife pier, and the observation deck. 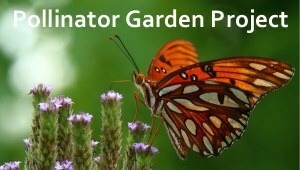 Kids of all ages enjoy experiencing nature from a paved walkway or a raised boardwalk. And grownups appreciate the fact that the Refuge is free, fun, not far from Monroe, and best of all--educational! Throughout the year, events are scheduled at the Refuge, and the public is invited to visit any time--whether there is a special event or not. Nature is always here. As a reminder .... this is a wildlife refuge, so remember your outdoor safety skills. Do NOT feed any animal on the refuge. 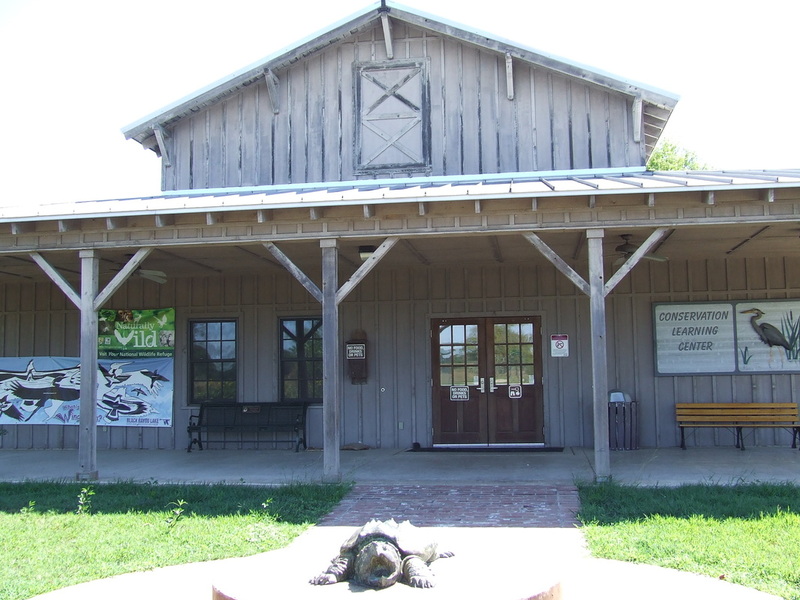 You can also call the Visitor Center at (318) 387-1114 for information about any program at the refuge. The volunteer answering the phone will be able to answer your questions, or can refer you to the person who can answer them. Nature is always happening at the refuge, but special events also provide education, conservation enlightenment, fun, and entertainment. Visit. Learn. Enjoy. All photos are copyrighted and used here with permission. This Page Header photo won 1st place Scenic in 2010, and was taken by photographer Berg Ransom and used here with permission.